The Autoship Cloud plugin enables the display of an upsell incentive on Product Pages and (optionally) within the Cart. 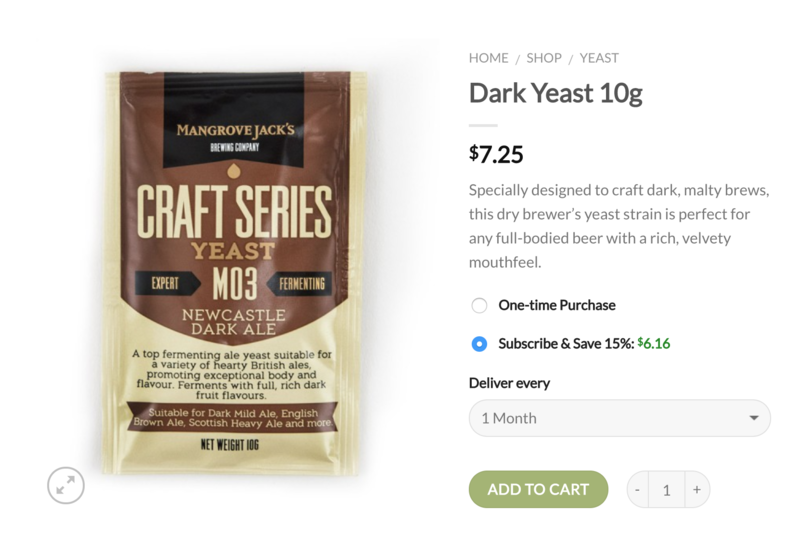 Display the option on a product page to purchase once or add a product to the cart with an incentivized subscription and order frequency. 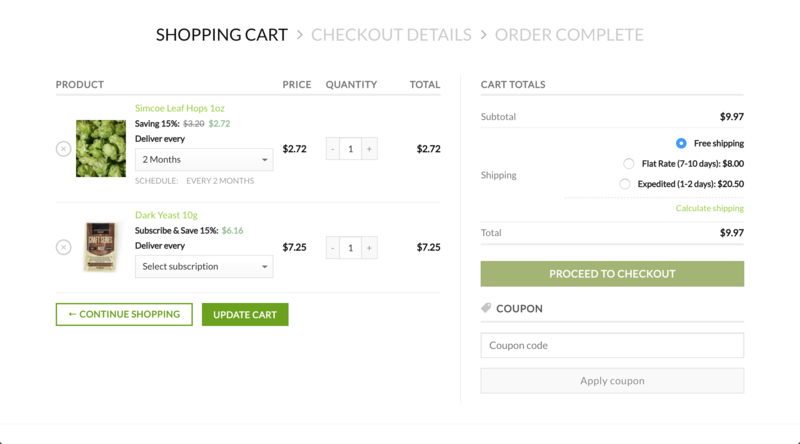 Display the option within the cart to purchase once or add a product to the cart with an incentivized subscription and order frequency.